The Indian power sector has been witnessing rapid changes with the government’s roll out of various policies for achievement of affordable and accessible 24×7 power for all. According to Energy Efficiency Services Limited (EESL), a joint venture of PSUs under Ministry of Power, India’s power demand is expected to surge by 79 per cent in the next decade. So, the country’s energy sector has been treading the path of new energy mix like renewable energy. Being the third largest producer of conventional energy, India is ramping up its solar energy with the development of the world’s largest solar parks to achieve the goal of 175 GW of renewable energy by 2022. Currently, India has a total installed capacity of 3,46,048 MW with ability to meet about 190 GW peak demand, to which 5-10 GW is likely to get added through plants under construction. According to the ICICI Securities report, the country reported peak power demand of 177 GW in September, an increase of 13 GW over FY18 peak demand — the highest year-on-year growth since 1993-94. The report also pointed out that with improvement in financials after debt transfer or re-pricing under UDAY (Ujwal Discom Assurance Yojana) and the Central Government’s push for ‘24×7 Power for All’, there had been 32 per cent reduction in declared load shedding in 2017-18 over FY17 to 7.7 hours per month from 11.3 hours per month. The government’s initiatives such as the UDAY, the Integrated Power Development Scheme, the Deendayal Upadhyaya Gram Jyoti Yojana and the Saubhagya scheme aim to achieve the objective of 100 per cent metering. The Indian Energy Metering sector has been witnessing transition from manual meter reading to automated meter reading. According to Saurabh Kumar, Managing Director, Energy Efficiency Services Limited, the Indian electricity meters market is dynamic and has been benefitted by technological landscape due to the government initiatives like smart grid mission, Integrated Power Development Scheme and Smart City Mission. The Government initiatives to achieve hundred percent metering and reduce Aggregate Technical and Commercial (AT&C) losses, coupled with energy efficiency measures facilitated by Bureau of Energy Efficiency (BEE) has opened up opportunities in private commercial and industrial segment. India is estimated to invest USD 44.90 bn in smart metering, distribution automation, battery storage and other smart grid market segments. This investment will help India reduce the 22.7 per cent transmission and distribution loss, informs Sunil Misra, Director General, IEEMA. Being the second largest consumer market in the world, India’s energy market is USD 340.82 million and is expected to grow at a CAGR of 8-10 per cent over the next four to five years. India is expected to install 35 million smart meters by 2019. Rapid urbanisation, industrialisation, and the most important, the pressing need for energy efficiency is substantially driving the growth of smart meters. Favourable regulatory conditions and increasing smart grid initiatives are supporting the smart meters market growth in the coming years. In addition to enabling a smart energy system, smart meters can reduce energy suppliers’ costs and encourage consumers to pay more attention to the energy they use, which will reduce energy consumption. EESL business model to roll out smart meters is revamping the current manual system of revenue collection which leads to low billing and poor collection efficiencies. This roll-out is proposed under the build, own, operate, transfer (BOOT) model on cost plus approach, which means all capex or opex is performed by EESL and the states or utilities are not required to invest upfront, according to EESL’s Saurabh Kumar. As of now, EESL has signed MoU for smart meters in the states like Andhra Pradesh Eastern Power Distribution Company Limited (APEPDCL) and Andhra Pradesh Southern Power Distribution Company Limited (APSPDCL), Andhra Pradesh for 18 lakh smart meters; Uttar Pradesh Power Corporation Limited (UPPCL) for 40 lakh smart meters and for one crore prepaid meters; Uttar Haryana Bijli Vitran Nigam and Dakshin Haryana Bijli Vitran Nigam in Haryana for 10 lakh smart meters; North Delhi Municipal Corporation (NDMC), Delhi for 50,000 smart meters; North Bihar Power Distribution Company Limited and South Bihar Power Distribution Company Limited in Bihar for 18 lakh smart meters and Tripura State Electricity Corporation for 2.8 lakh prepaid meters. It must be pointed out that the advantages of smart meters go beyond billing. This vision needs to have a very broad view of operational and business efficiency. The vision of Government of India to bring financial turnaround of utilities with smart prepaid metering in the next three years will be a game changer and bring acceleration in metering Industry, states Sandeep Jain, Solution Architect, Landis+Gyr Ltd., India. Over the years, smart meters have emerged as an effective device which transforms energy consumption and management by offering significant value to both consumers and utilities. However, it has also its own challenges. One of the most critical issues is the procurement of meters across utilities which differ for each segment of the metering ecosystem. To make things more complicated, each segment has multiple specifications leading to unfocussed approach in product development and utilising the available resources. One of the key objectives of the smart grid pilots in India is to arrive at single specification for a metering segment, resting on the Advanced Metering Infrastructure’s (AMI) specification issued by Central Electricity Authority. It remains a challenge to date, informs Sunil Misra from IEEMA. Evaluation of the bids based solely on the most competitive quoted price has impact on the quality of the product and service delivered. The Government needs to enforce a uniform policy of bid evaluation which will be a balance between quality and financial price mechanism, he further informs. While the power sector has witnessed an unprecedented turn-around in generation, its weakest link is distribution. Poor equipment maintenance and high-power theft are responsible for (AT&C) losses of approximately 25 per cent, amongst the world’s highest. Currently, India curtails renewable generation to prevent grid overloading, causing renewable developers losses, and affecting equipment efficiency, informs Saurabh Kumar from EESL. Variation in the metering specification: India has a unique meter requirement owing to its vast geographical spread. Each utility has a unique requirement and manufacturer needs to have a meter variant to support it. Therefore, the design and sustaining such a spread of inventory has an impact on the manufacturing capacity. Unified specification remains a dream in the metering industry. Scope of Project: Most of the AMI solution needs legacy system integration, which does not have any visibility on the interfaces supported and are often decades old technology. Most of the unknowns are included in the scope of work and therefore risk in project completion criteria. This safeguards utility from any changes required in future but leaves a large room for risk for bidders. Evaluation Criteria: All the public utilities have a final lowest bidder bid gate. After clearance of technical bid gate, eligible bidders are evaluated on a single scale cost. There is no impact of quality, maturity and capability of the solution in influencing the selection of the bidder. Cyber Security: Like any other IT-driven system, AMI is also prone to malicious attacks. The requirement needs to be similar to financial systems (meters are cash register to utility) if not military grade. We have to ensure detection and prevention of any intrusion to the system, which could affect the reliability, and efficiency of the system in delivering electricity to the last mile. Communication Technologies: Communication technology has seen rapid growth and advancement in the past few decades. On the flip side, each and every technology has its specific application. Its applicability and adaptability in AMI may or may not work. The utility or industry is looking forward to adoption of newer technologies bringing efficient, cost-effective and stable communication technology for the solution. IT Infrastructure: One of the most important ingredients in the AMI solution is the IT infrastructure and off the shelf, applications required, which have a different design life, warranty than the rest of the components. Over the years, smart meters have emerged as an effective device which transforms energy consumption and management by offering significant value to both consumers and utilities. The arrival of the Internet of Things (IoT) affirms more potential and provides utilities extraordinary opportunities to make smart meters even smarter, in this manner totally revolutionise energy management. As the demand for new sources of energy rises, there is a need of more efficient utilisation of existing energy sources. Smart meters represent a major development for the electricity grid leading to fundamental transformation of modern power grids and sustainable energy mix protocols. However, cybersecurity problems pose the biggest hurdle in deployment of these smart meters. In this regard, blockchain has the potential to enable IoT-based deployments to be more secure. With the development of technology, the blockchain technology is all set to change buying and selling scenario of power. The blockchain is a promising area in the metering market. With the advent of Prosumers in the value chain of electrical distribution network distributed vividly, it will definitely carve a path in how the energy is traded and settlement executed. Blockchain requires fast and accurate meter data acquisition for seamless trading and settlement. 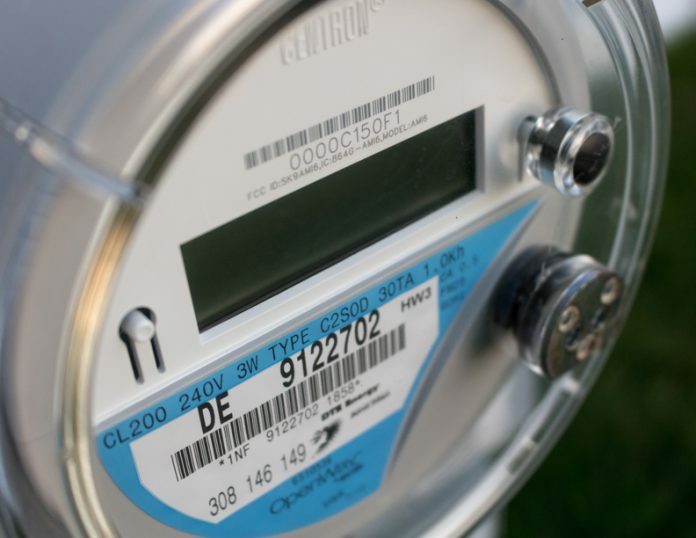 Smart meters will play a major role in meter data dissemination required in implementing. As we progress on mini or micro-grids and its integration with mainstream distribution can be an ideal choice. The blockchain is promising and emerging in the electrical distribution area and has a long way to go, avers Sandeep Jain from Landis+Gyr Ltd., India. The underlying technology has identification security through private-public encryption with key access. If the key access codes are kept secure and safe, blockchain has the potential to take care of the rest. However, the impact of initiatives is likely to be profound in the smart electric meter market, informs Saurabh Kumar from EESL. The metering industry is undergoing massive transformation due to adoption of technology and innovation. With the advent of the Internet of Things (IoT) and a surge of power-consuming connected devices, grid edge technologies are paving the way towards a new energy system that will deliver major economic and societal benefits. The speed of adoption and the success in shaping the transformation will depend on a broad range of factors, ranging from regulation, infrastructure, business models and customer engagement. The public- private partnership is the way forward to accelerate adoption of grid edge technologies. All stakeholders will have to deploy enabling infrastructure that is flexible, open and interoperable. Emerging markets that may be less encumbered by existing infrastructure, investments, or system structure may have the opportunity to leapfrog some of these challenges and head straight to mass adoption of these new technologies, states Saurabh Kumar. India has the third major electricity transmission and distribution network in the world. However, India also faces a lot of challenges such as supply shortfalls, inadequate access to electricity, huge network losses, reliability, poor quality and theft. Smart metering will address these key issues and make over the existing issues into a more proficient and consistent way. In return, it will help in provisioning of electricity access to all. Smart meter is the main element for the end user or consumer (residential or industrial), conventional energy meter, manual reading of energy meter, manually bill payment, micro-controller, and database management smart grid, so, it is expected to provide social, economic, and environmental benefits for several stakeholders. One of the major factors which will decide the success of smart meters is its data analytics. It deals with data acquisition, processing, and interpretation, which ultimately convey profits to all stakeholders. Smart metering is still in its infancy, as there is no large-scale execution of smart metering system. It is required to start progressing of customers, wherein an end user can get the return on investment (RoI) of smart meter. The progress of smart meters will take time as the demand is yet to arise, informs Sunil Misra.